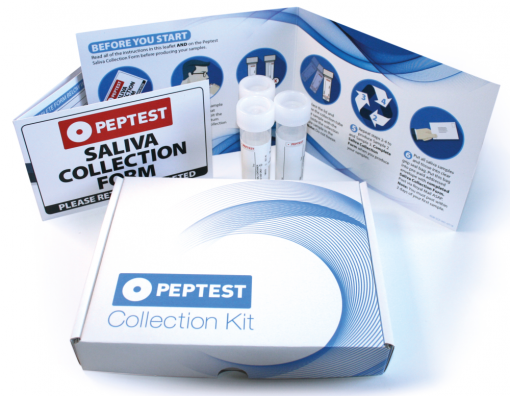 Peptest reflux diagnostic kit, which includes THREE saliva collection tubes. 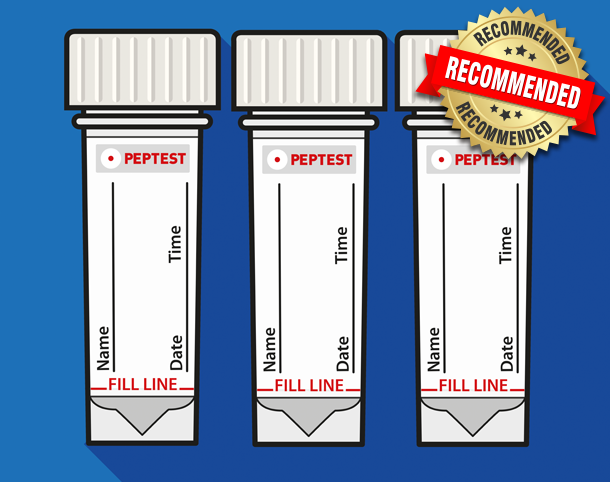 To collect a sample you simply clear the throat with a cough and spit the resultant saliva into the collection tube (s) provided, according to the included instructions. 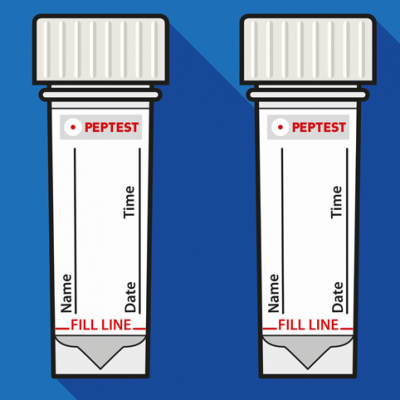 You then return your samples to the Peptest laboratory for analysis and you will receive the results report within two days indicating whether each sample is positive or negative and the level of pepsin in each sample. 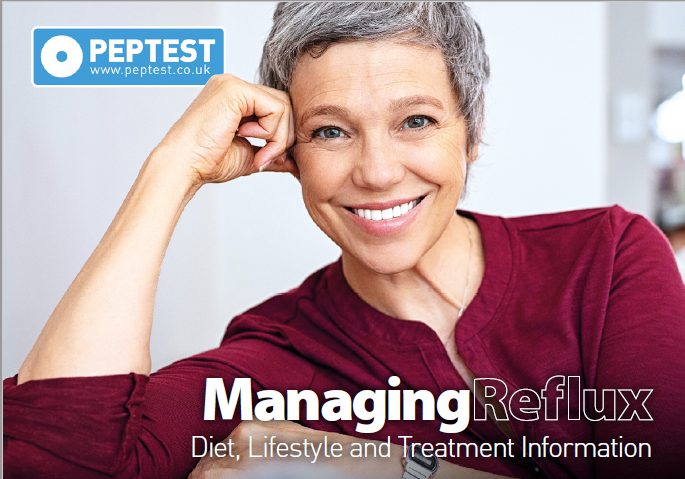 You’ll also receive a letter addressed to your doctor explaining the results and what they mean plus a FREE digital booklet with information on ways to manage reflux.